Claimed coincidences connecting U.S. Presidents Abraham Lincoln and John F. Kennedy are a piece of American folklore of unknown origin. 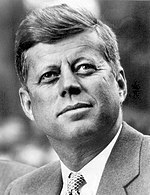 The list of coincidences appeared in the mainstream American press in 1964, a year after the assassination of John F. Kennedy, having appeared prior to that in the GOP Congressional Committee Newsletter. Martin Gardner examined the list in an article in Scientific American, later reprinted in his book, The Magic Numbers of Dr. Matrix. Gardner's version of the list contained 16 items; many subsequent versions have circulated much longer lists. The list is still in circulation today, having endured in the popular imagination for over 50 years. In 1992, the Skeptical Inquirer ran a "Spooky Presidential Coincidences Contest." One winner found a series of sixteen similar coincidences between Kennedy and former Mexican President Álvaro Obregón, while the other came up with similar lists for twenty-one pairs of US Presidents. An example of the list is presented here for illustration. Some urban folklorists have postulated that the list provided a way for people to make sense of two tragic events in American history by seeking out patterns. Gardner and others have said that it is relatively easy to find seemingly meaningful patterns relating any two people or events. Both presidents were elected to the presidency in '60. Both were runners-up for the party's nomination for vice-president in '56. Both assassins were born in '39. Both successors were Southern Democrats named Johnson born in '08. Both presidents were concerned with the problems of American blacks and made their view strongly known in '63. 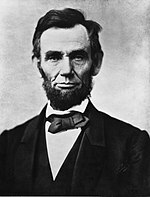 Lincoln signed the Emancipation Proclamation in 1862, which became law in 1863. In 1963, Kennedy presented his reports to Congress on Civil Rights, and the same year was the famous March on Washington for Jobs and Freedom. Lincoln was shot at Ford's Theatre. Kennedy was shot in a Ford car; a Lincoln limousine. Lincoln had a secretary named Kennedy who told him not to go to the theatre. Kennedy had a secretary named Evelyn Lincoln (whose husband Harold's nickname was Abe), and she warned him not to go to Dallas. Both Oswald and Booth were assassinated before they could be put on trial. Lincoln and Kennedy each have 7 letters. John Wilkes Booth and Lee Harvey Oswald each have 15 letters. Booth shot Lincoln in a theater and hid in a warehouse, while Oswald shot Kennedy in a warehouse and hid in a theater. Buddy Starcher wrote a song recounting many of these coincidences and parallels between the two presidents' careers and deaths entitled "History Repeats Itself." It became a U.S. Top 40 hit for him during the spring of 1966, and reached number two on the Country chart. Cab Calloway also scored a minor chart hit with the song that same year. ^ Martin, Bruce (September–October 1998). "Coincidences: Remarkable or Random?". Skeptical Inquirer. 22 (5). ^ a b Mikkelson, Barbara & David P. "Linkin' Kennedy" at Snopes.com: Urban Legends Reference Pages. ^ "William Crook". PBS. Retrieved October 9, 2013. ^ Lloyd Lewis (1994). The Assassination of Lincoln: History and Myth. University of Nebraska Press. p. 297. ISBN 9780803279490.